There are still cabins and tent sites available for the Pilgrimage weekend. Visit reserveamerica.com to reserve your spot. First time camper at Allegany? Here is a handy packing list if you are renting a cabin for the weekend. The Allegany Nature Pilgrimage is an annual outdoor learning experience. It combines fun with a variety of nature-oriented activities. This traditional weekend of natural history and outdoor education welcomes both the experience naturalist as well as the inquisitive beginner! ​Generally, you take care of your own lodging and food. To help you out, the Boy Scouts sell hot dogs at noon on Saturday, and there is a chicken or vegetarian meal you can pre-order for Saturday evening. Learn more about the logistics for the weekend on the About page. 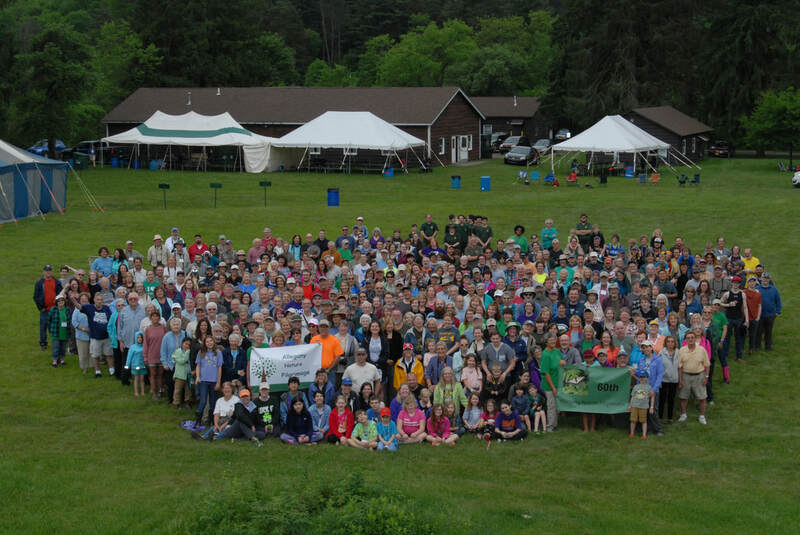 Always the weekend after Memorial Day, the Allegany Nature Pilgrimage has been held at beautiful Allegany State Park annually since 1959. Let us add you to our email list! The Nature Pilgrimage is held at "Camp Allegany" in the Red House area of beautiful Allegany State Park. To learn more about the park, click here. Click here for park weather. Take I-86 (formerly Route 17) to the Allegany State Park Red House exit. Or put 42°06'01.0"N 78°43'22.4"W in your GPS. Register at the brown building. Click here for a map of the Pilgrimage area. Adult members of a sponsoring Audubon Society enjoy a discount on the registration fee.